Founded in 1904, the FIA brings together leading national motoring organisations from 132 countries worldwide and is the governing body for world motor sport. The FIA Region I office, based in Brussels, is a consumer body representing 108 Motoring and Touring Clubs and their 38 million members from across Europe, the Middle East and Africa. To provide strong representation of European member club interests towards the European Union institutions - for example on road safety, consumer protection, environmental protection and the promotion of sustainable motoring. To build links and support the exchange of best practices between our 108 member clubs across Europe, Africa and the Middle East. 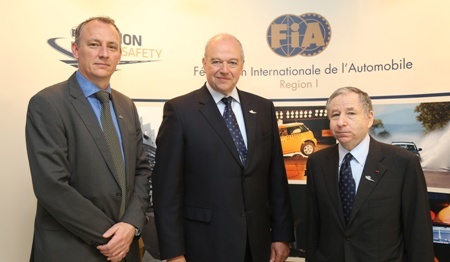 To engage in new campaign activities together with automobile clubs throughout the region, such as the FIA Action for Road Safety campaign.